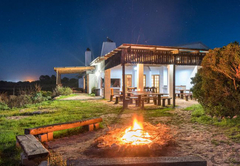 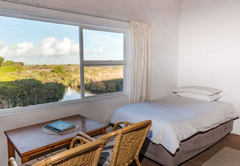 Blombosch Lodge is a property providing self catering in Yzerfontein for up to 36 guests visiting the Cape West Coast region. 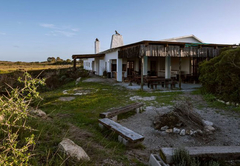 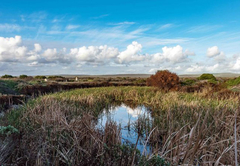 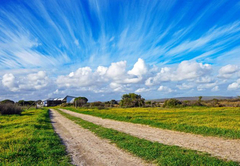 Blombosch Lodge is set amongst the Fynbos dunes of the West Coast and is just 8km from the beautiful village of Yzerfontein. 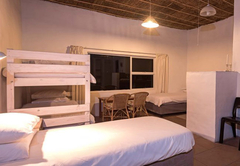 this is a great place for a family vacation. 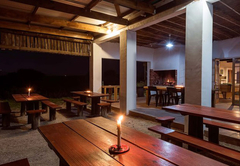 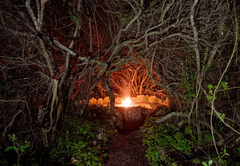 The lodge offers accommodation for 36 guests and is booked exclusively for one group. 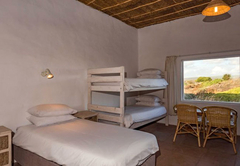 There are eight en-suite bedrooms which are furnished with single beds and bunk beds. 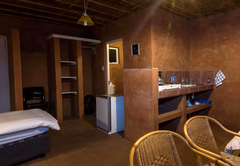 The rooms are neat and comfortably furnished. 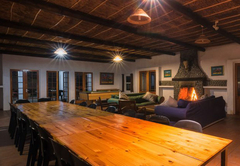 There is an entertainment hall / dining area with tables, chairs, couches and a fireplace. 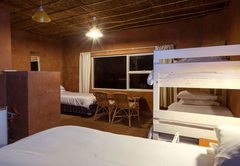 The kitchen is fully equipped for self catering and includes gas stoves. 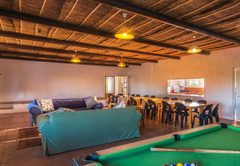 The outside area includes a pool table, bar area and furnished braai area with braai facilities. 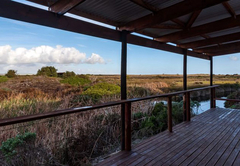 The deck overlooks a fresh water spring which attracts an abundance of bird life. 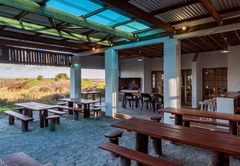 Response timeBlombosch Lodge typically responds to requests in 5-10 minutes.